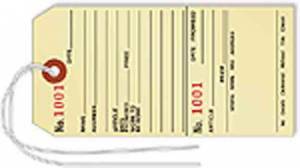 100 pack of quality repair tags. Regular pen ink and ball point pens will not smear. 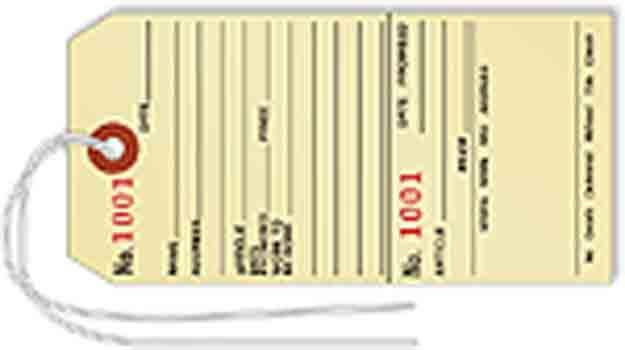 Sequentially numbered tags have string ties.